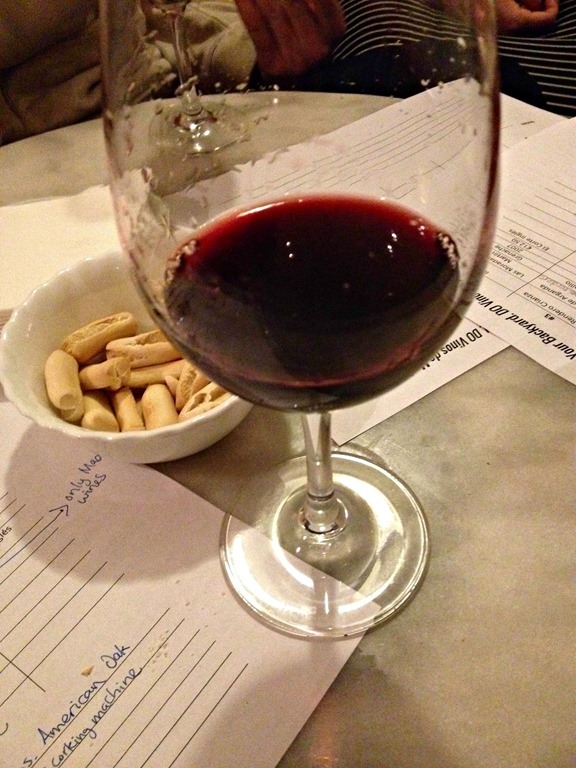 This past Tuesday, I participated in a wine tasting with Madrid Food Tour held at De Vinos. (Rough life, am I right?) Madrid Food Tour was founded by Lauren Aloise with the goal of showcasing all of Madrid’s gastronomical delights, with a bit of history added in to keep things interesting. They have several different types of tours, all of which you can book through their website. On Tuesday, however, they hosted their first midweek wine tasting, led by James Blick. James knows a lot about wines, and I was excited to learn more about a relatively unknown region—Madrid. As James told us, up until 1990, such wine was sold a granel (“in bulk”). However, that year Madrid’s denominación de origen, or protected designation of origin, was established. Actually, as he explained to us, Madrid is basically made up of three subzones: Arganda del Rey, Navalcarnero, and San Martín de Valdeiglesias. The majority of these wines are young and rosés, although there are some excellent red wines to be had (as we would find out). 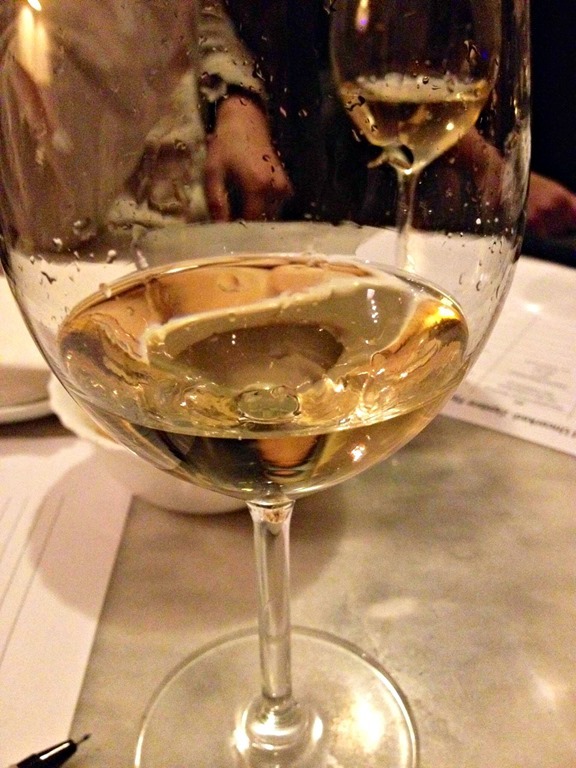 At first sniff, I was intrigued by this straw-colored, bubbly wine. It smelled deliciously fruity, with perhaps a bit of apple shining through. As we took our first sip, I found myself enjoying the slight carbonation and the even slighter bitter aftertaste. James informed us that a limited number of bottles are made per year, so it’s a bit difficult to get one’s hands on one of these. At €8.00 a bottle, though, it’s hardly going to break the bank. This 2011 wine is made from both Albillo and Macabeo grapes, and at 14.5% alcohol, it’s not for beginners. The color of this wine was slightly golden—definitely much more so than the previous one. The smell was delightful, like fresh summer stone fruit. From the smell I was expecting a sweet wine, perhaps too sweet, as I’m not a fan of overly sweet wines. But I was pleasantly surprised to find that it had a nice balance, with little acidic aftertaste and a medium finish. I would pair this wine with fish, especially the type that are often eaten in summer, like sardines. Of course, I would also drink this wine by itself, as it’s neither cloying nor heavy. This wine, which won the Bacchus’ (a Spanish wine-tasting organization) silver medal in 2013, is made with Spain’s most-common grape, tempranillo. I’m much more of a red wine fan, and so I eagerly anticipated this wine. Its cherry-red color, along with the slight whiff of vanilla, made it all the more appealing. And the taste did not disappoint—its potent, rotund flavor was just what I’d been anticipating. It was even perhaps a bit smoky. I think it would be ideal to go along some homemade salchichón or any grilled meat. The great thing about this wine is that, at €3.70 a bottle, you can hardly believe what you’re getting. You actually buy it in bulk—pay perhaps €0.40 for the bottle, and then fill ’er up! This wine was my favorite! It completely blew me away, and I’ve had my fair share of great wines. I admit to being skeptical the first time I tried wine from Madrid—I had never even heard of people in Madrid making wine! But after my first glass, I knew that I was going to be trying plenty of Madrid wines from that point on! This wine, mad from Grenache, has a scarlet color and smells earthy. Because it’s made from vines over 60 years old, its flavor is intense and persistent. It left my mouth a bit dry, but in the best possible way: tannins! I’d pair this with red meat. 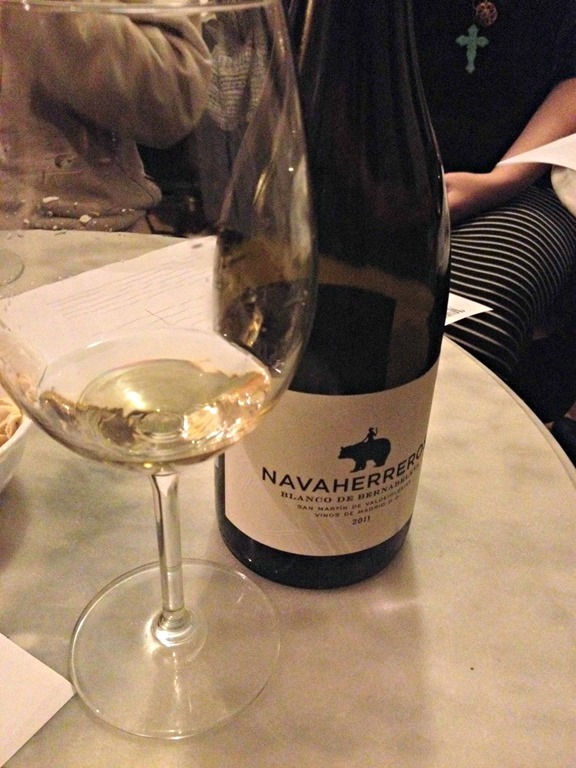 My hour tasting wines with Madrid Food Tour was educational and fun (not to mention delicious!). 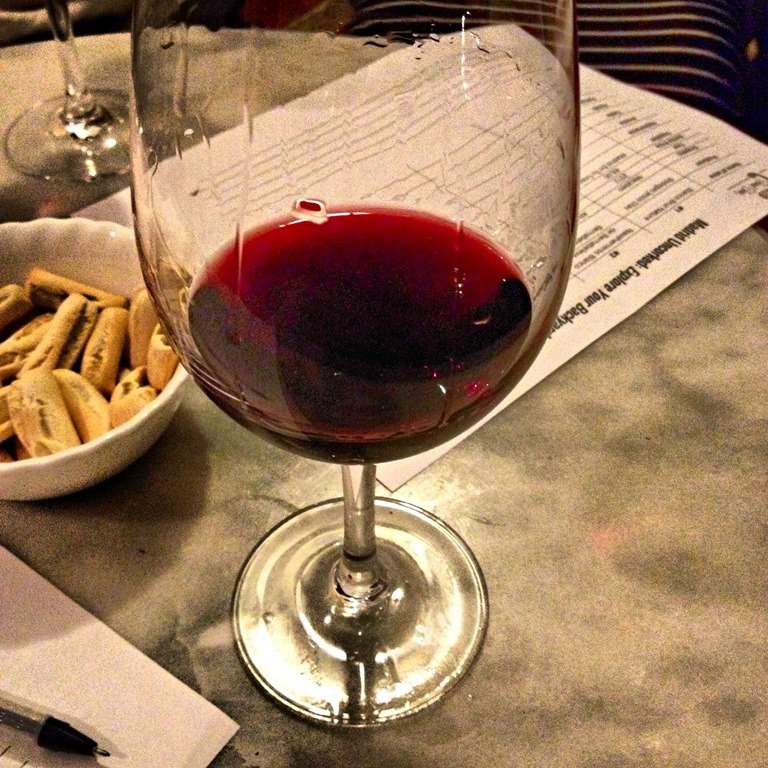 If you’d like to attend an English-speaking wine tasting in Madrid, they’re exactly what you should look for. The atmosphere was relaxed, but also focused. I have always felt a bit intimidated by wine tastings, but I think we all felt free to shout out what we thought we smelled or tasted, without fear that we would be shot down. That’s the mark of a good wine tasting—no pretensions! < Previous Why Do You Read Blogs? Sounds like fun! Like you, I much prefer the full-bodied reds and garnacha and tempranillo-based wines. James is sworn to be really good at what he does! I know I’m not alone! :) James was great; the accent was a plus! So fun! You get up to any wine tastings in Germany? I actually live right in the wine region so I’ve done a little tour hopping between villages! No pretension is the best way. After all, everyone’s palate is different!